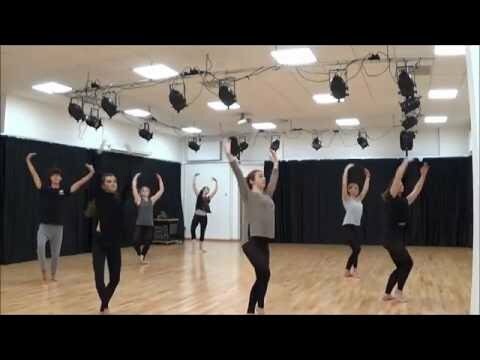 The Creative Arts Academy at Itchen will enable you to pursue your creative aspirations, showcase your work publically and obtain excellent academic qualifications. Unlike the Academy of Sport, our Creative Arts Academy is exclusive and only students who are taking certain subjects can be involved. For more information on the subjects which are involved in the Academy, please visit 'Our Subjects'. The Academy comes with a range of facilities, including a brand new £1.7 million Performing Arts block. For more information on these state of the art facilities, please visit our 'Facilities' page. Our new Creative Arts Academy will really boost students’ chances of making the important next step from college to either higher education or into the creative industries, as well as giving all our Creative Arts Academy students a stimulating and exciting experience. In 2016, 7 of our Creative Arts Academy subjects gained 100% pass rate at A2. Emily was a very creative and passionate student during her time at the college. She gained high grades, achieving an A* in English Language, A in Creative Writing, Distinction* in Fine Art and Distinction in Journalism. She was also involved with Itchen Radio and English micropoetry competitions. Emily went onto the University of Portsmouth to study Creative and Media Writing. Itchen College welcomed Downton Abbey star Hugh Bonneville to its drama studio. David Storey who has designed vinyl sleeves for the likes of the Specials, Blondie and Norman Cook came into college.